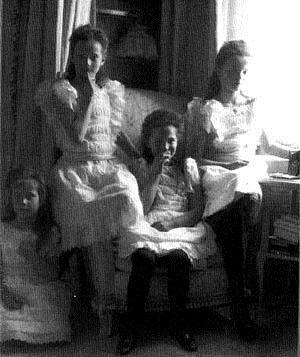 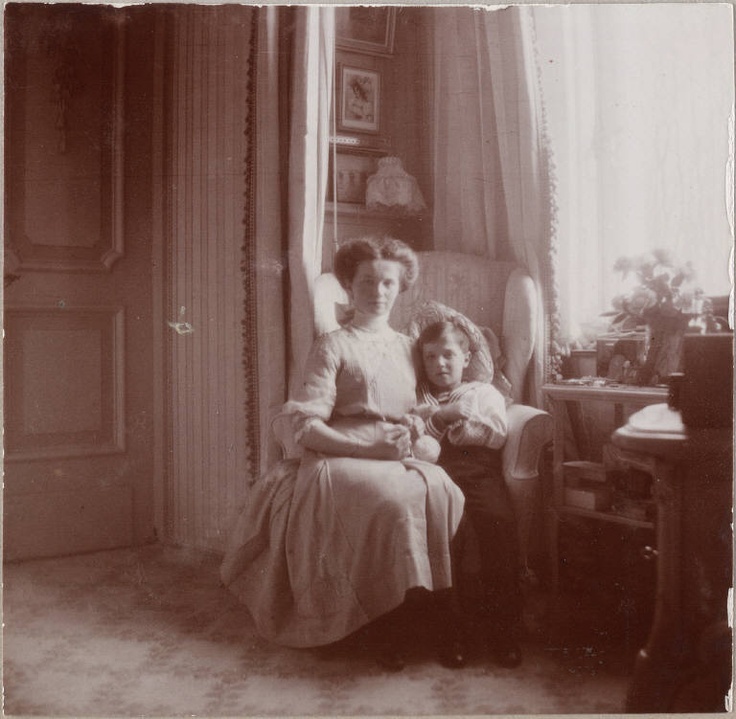 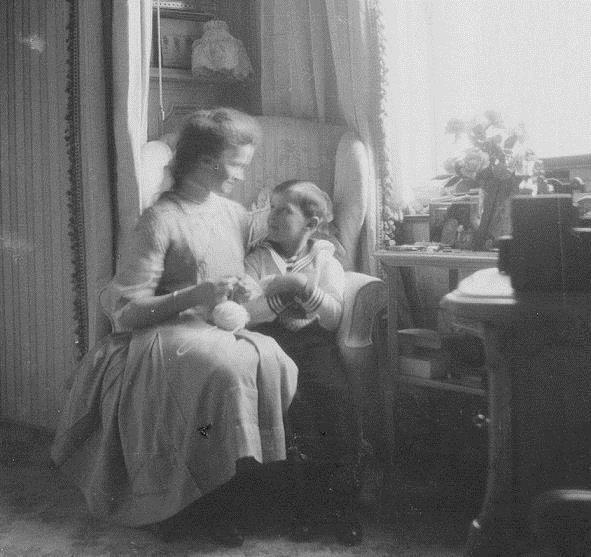 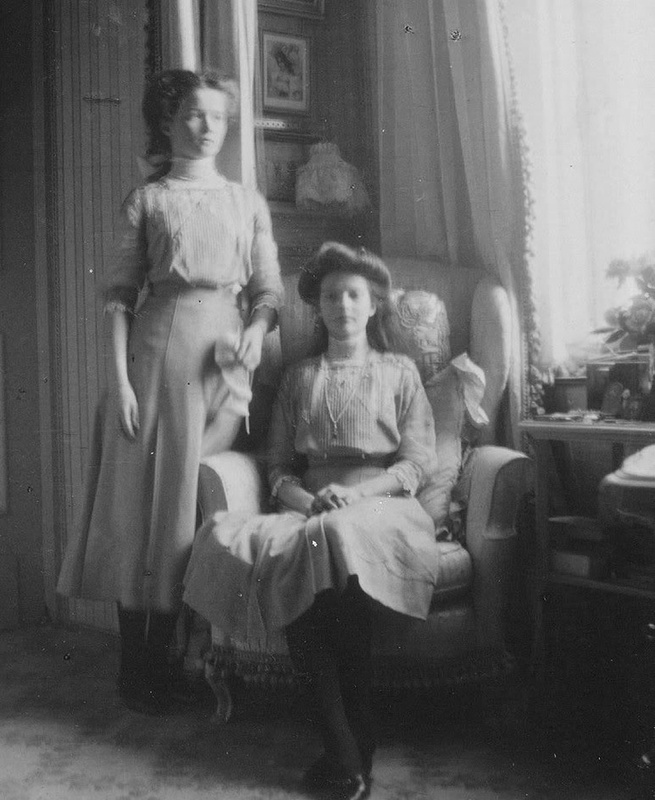 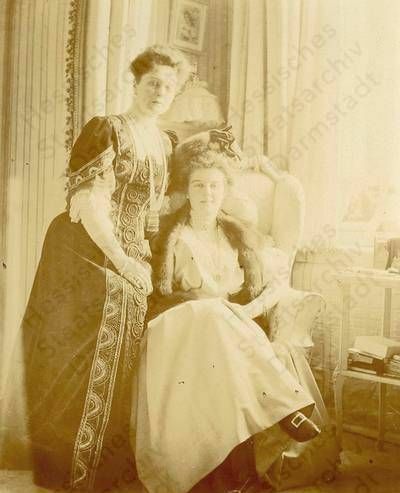 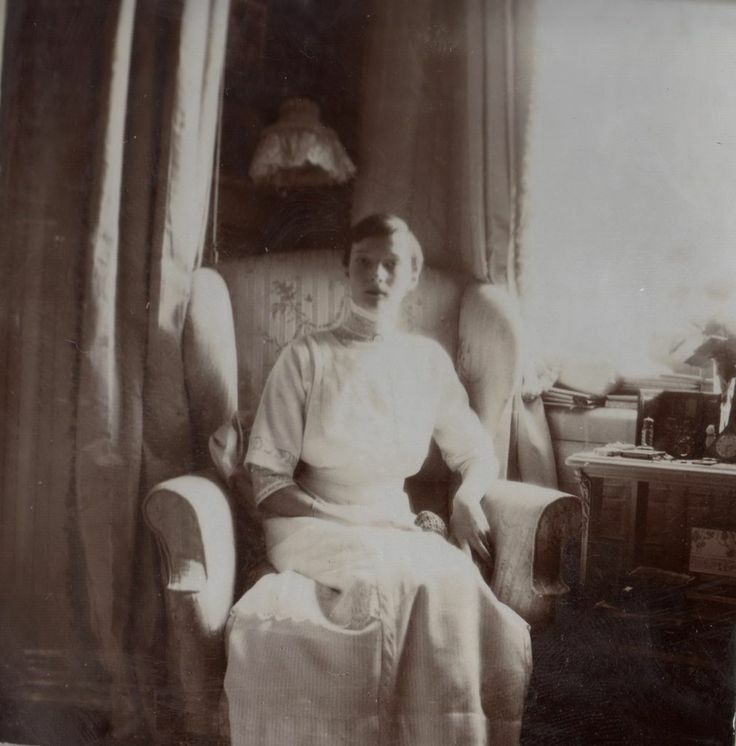 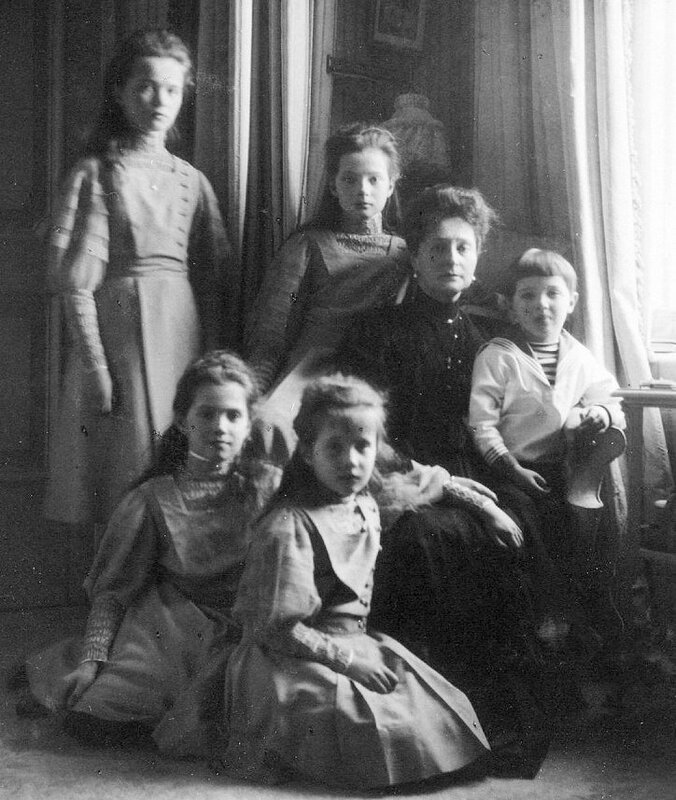 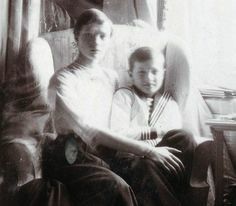 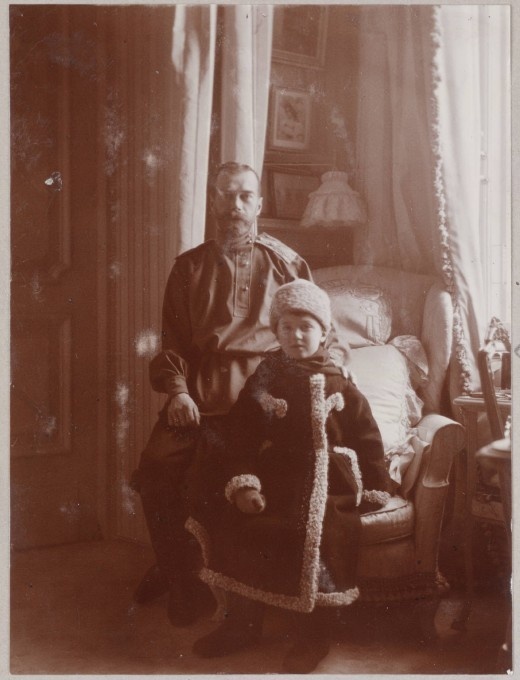 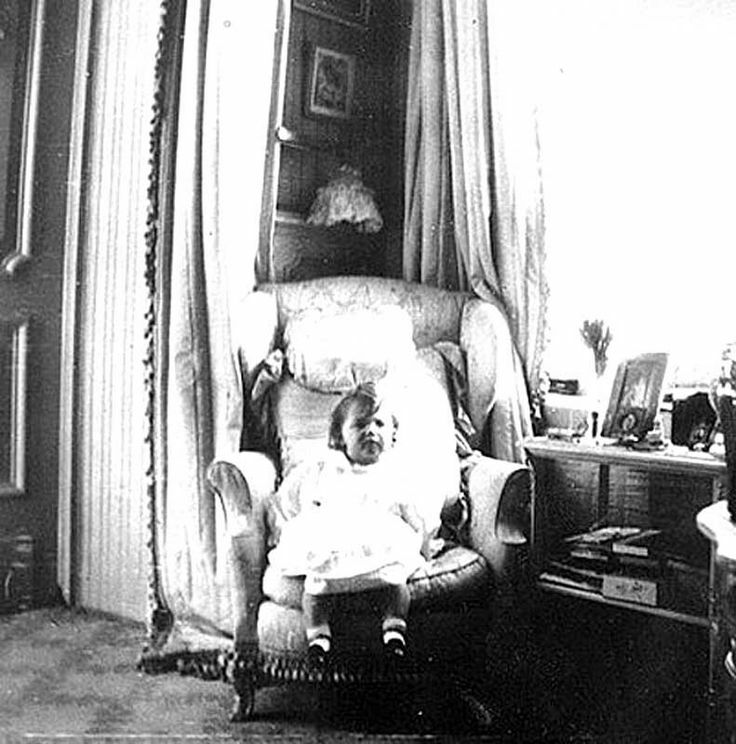 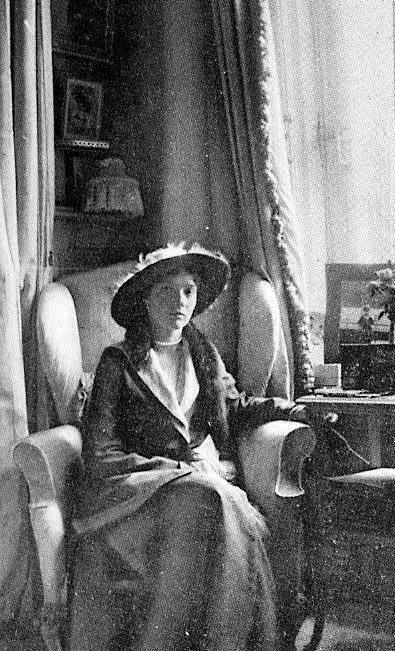 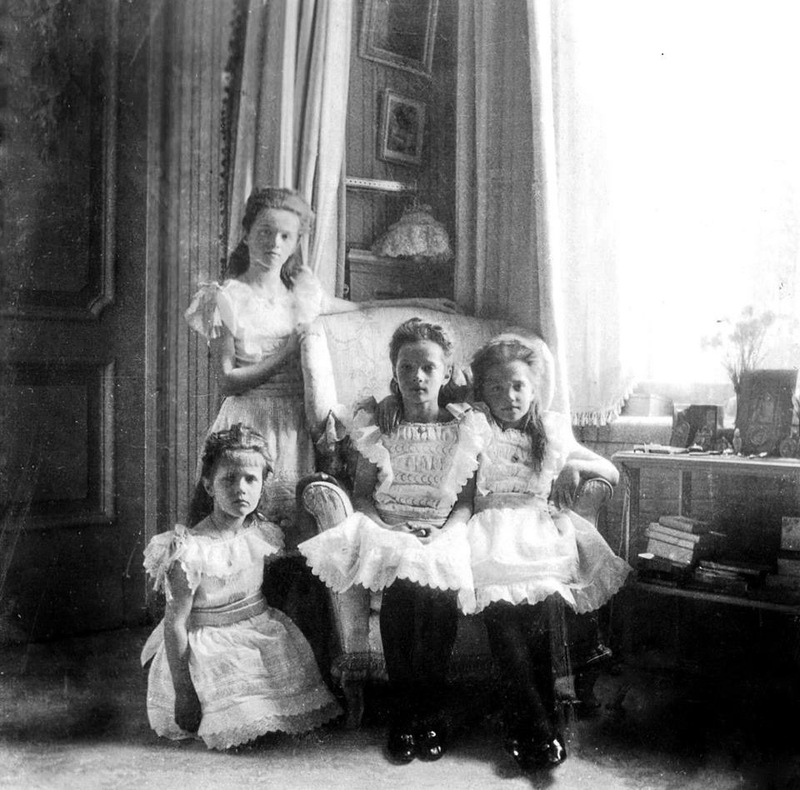 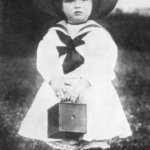 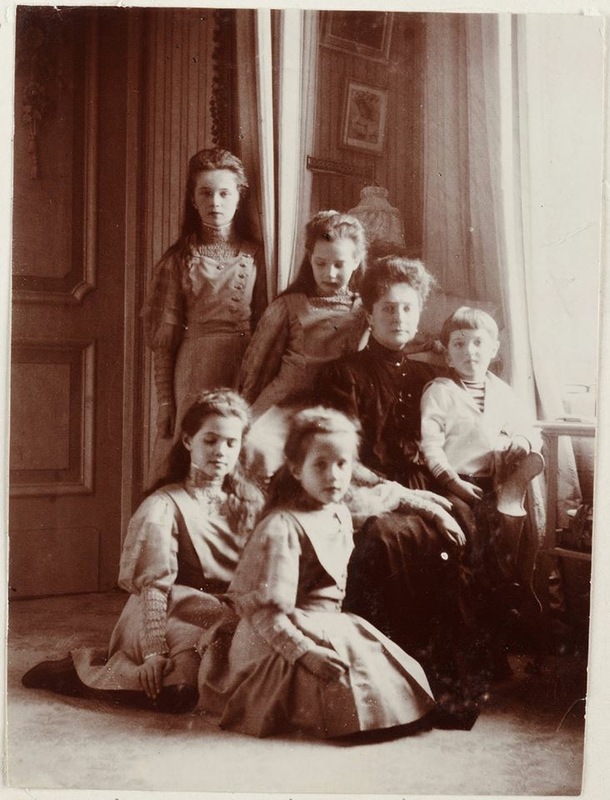 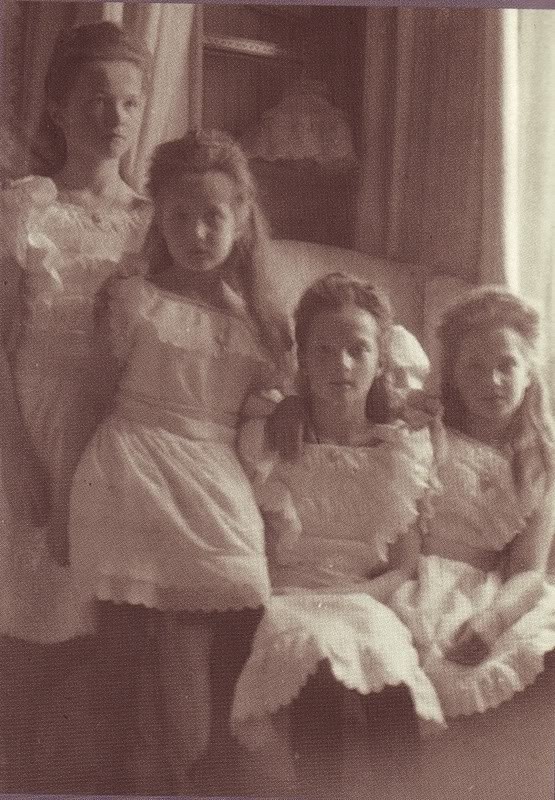 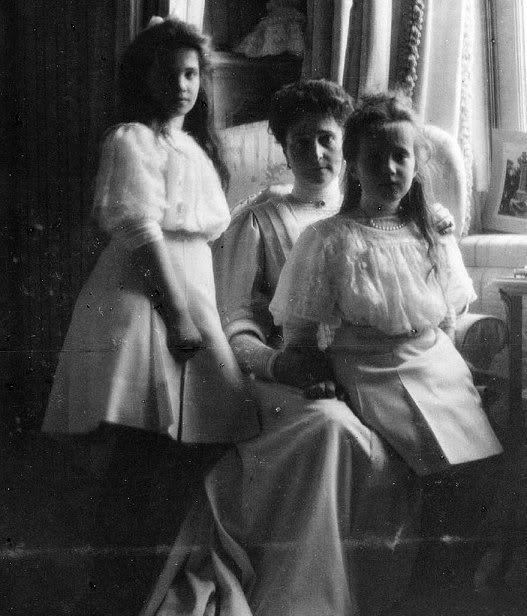 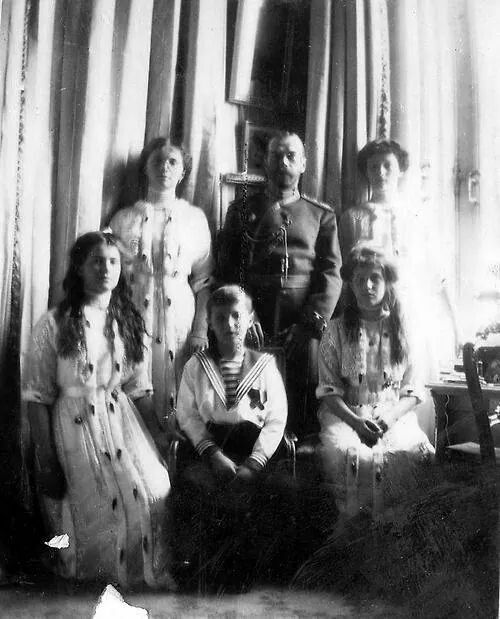 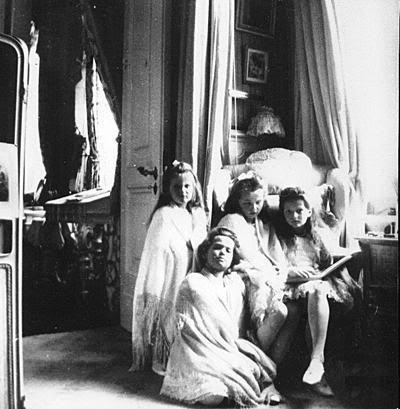 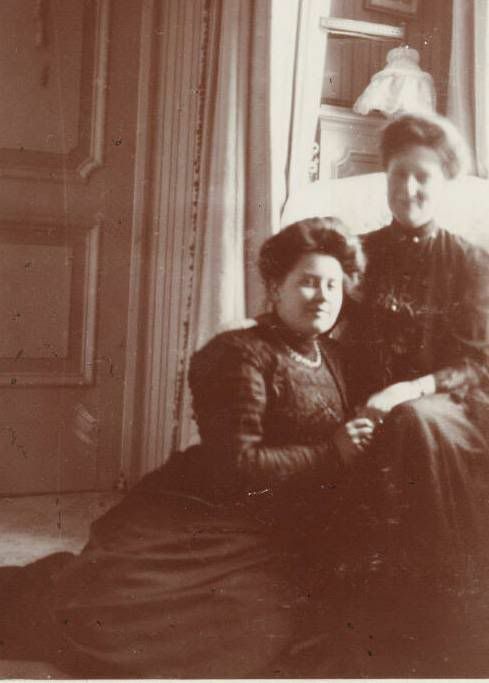 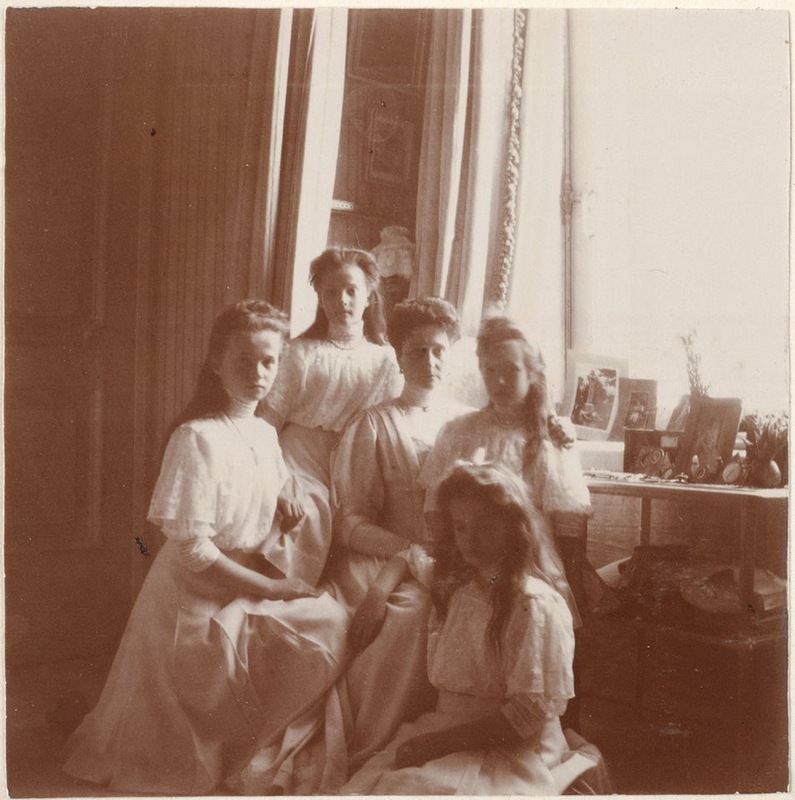 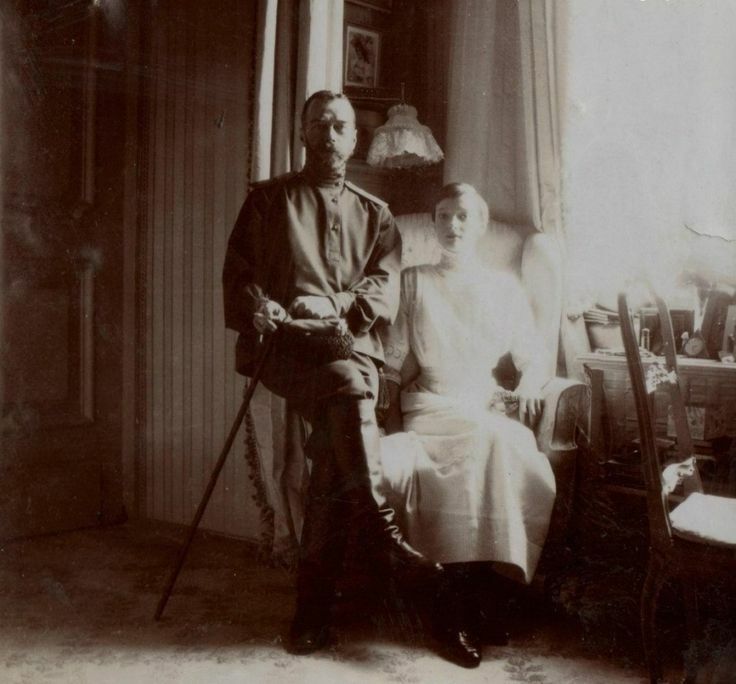 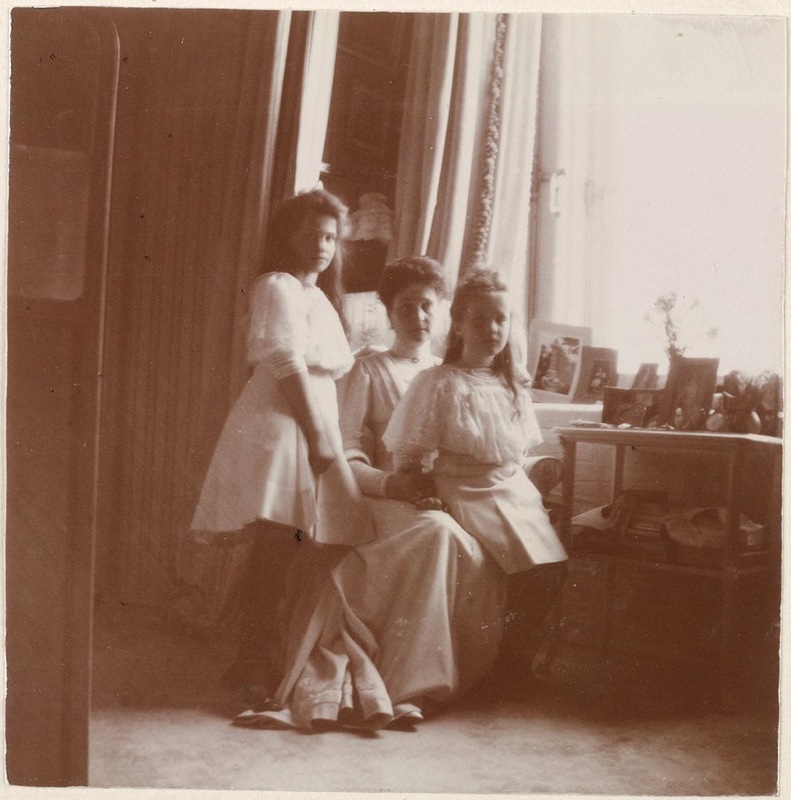 Based on photographic evidence, the Romanov family certainly had a favorite chair where they loved to pose. 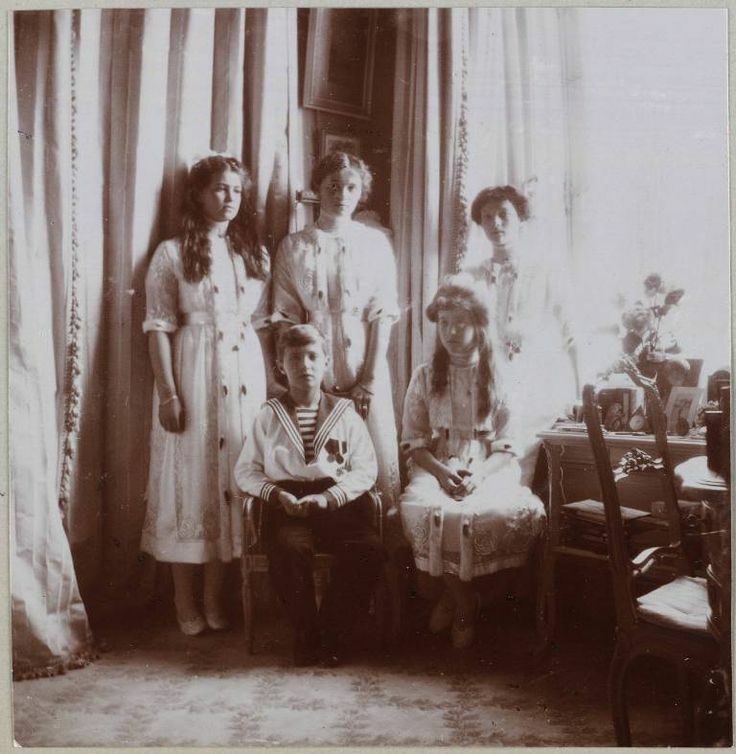 One can literally see the imperial children grow up in these “chair” photos. 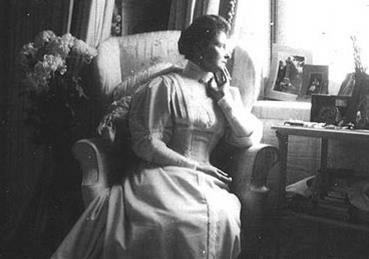 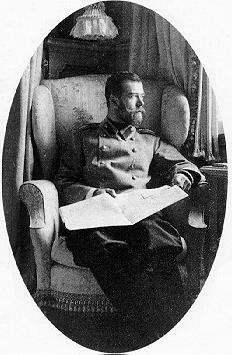 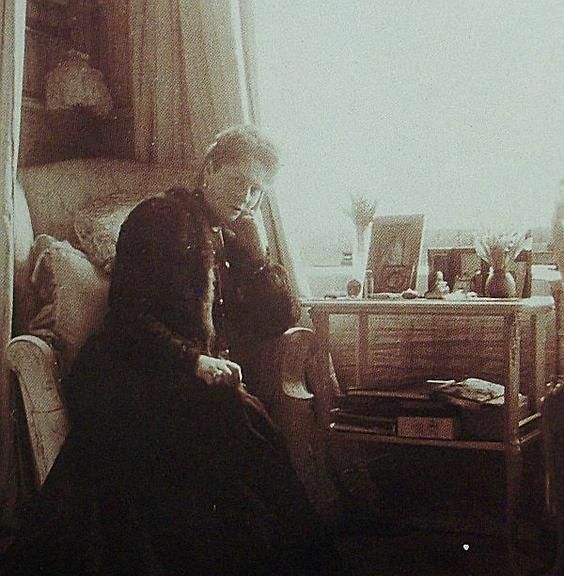 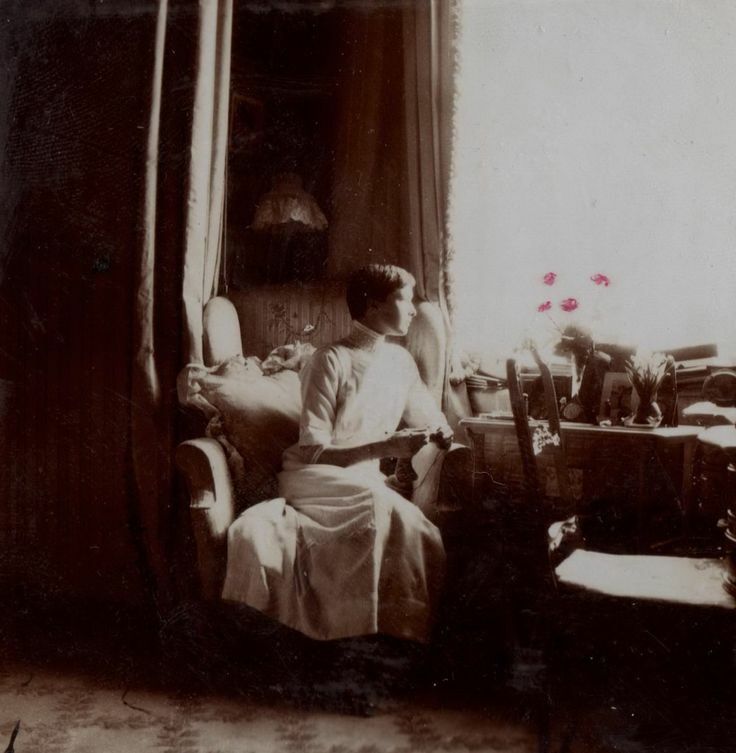 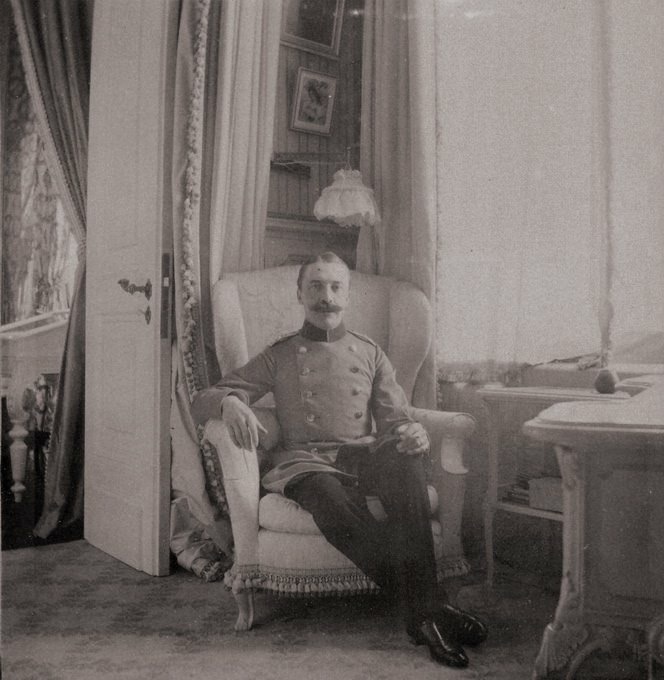 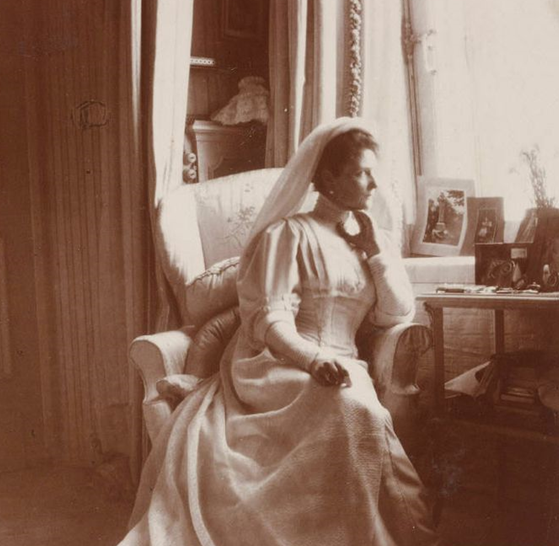 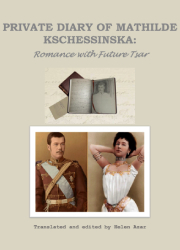 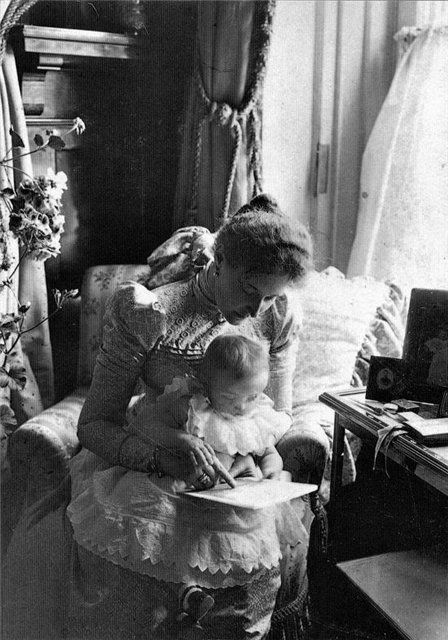 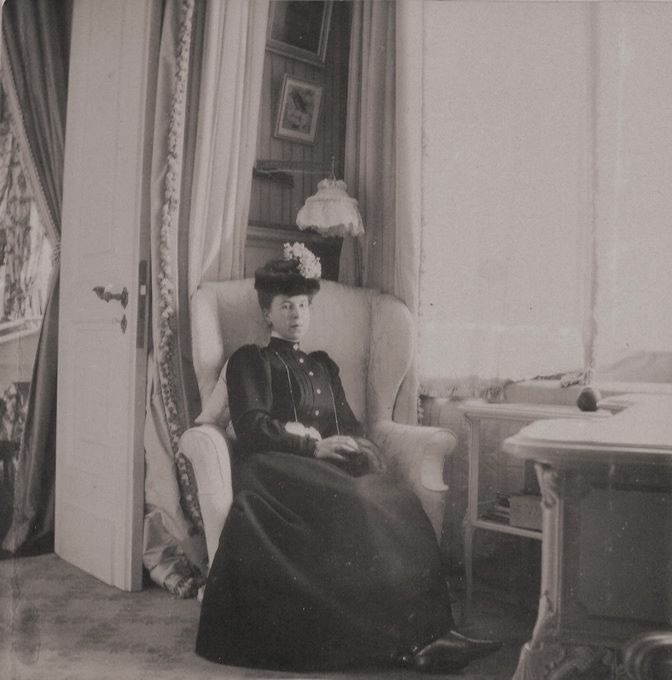 “The Chair” was located in Empress Alexandra Feodorovna’s Mauve Boudoir, near the window. 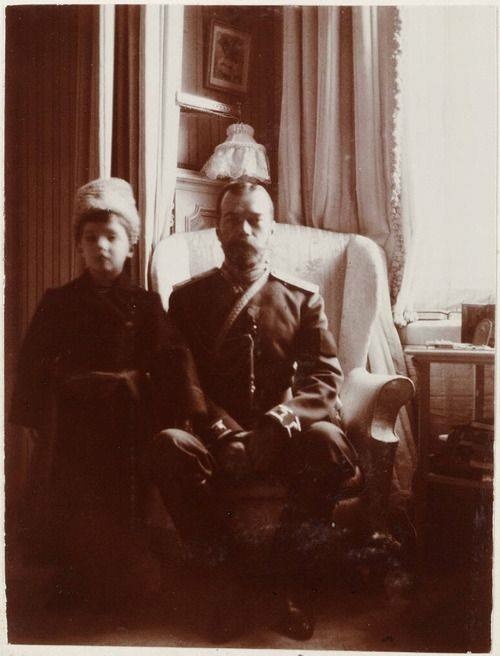 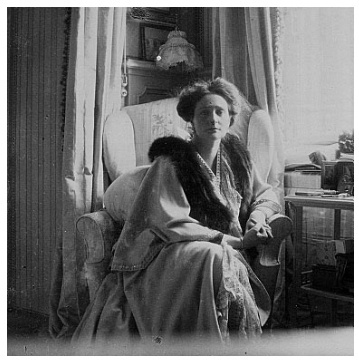 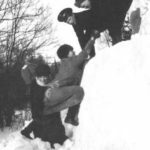 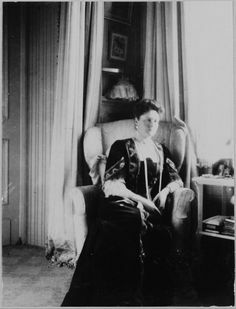 Not much commentary is needed here, so please scroll down this page and enjoy the Romanov family “Favorite Chair” photos through the years! 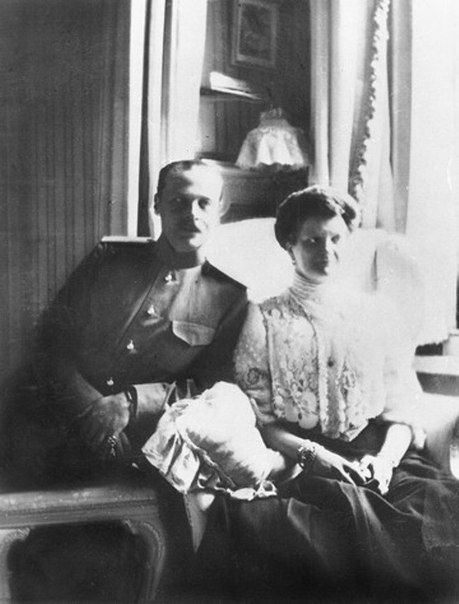 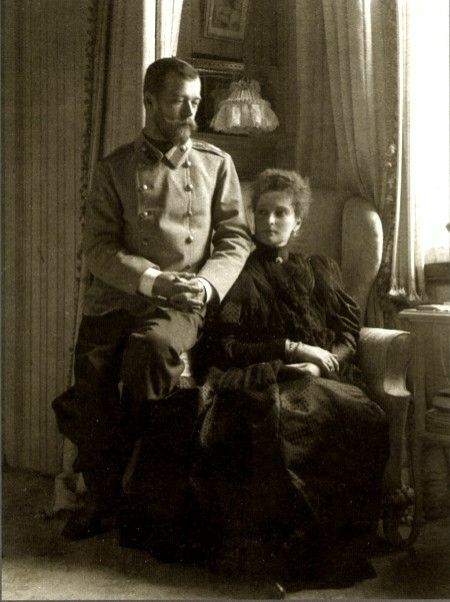 Grand Duke Dmitri Pavlovich, Tsar Nicholas II’s cousin, with Grand Duchess Elizabeth Feodorovna, Tsarina Alexandra’s sister. 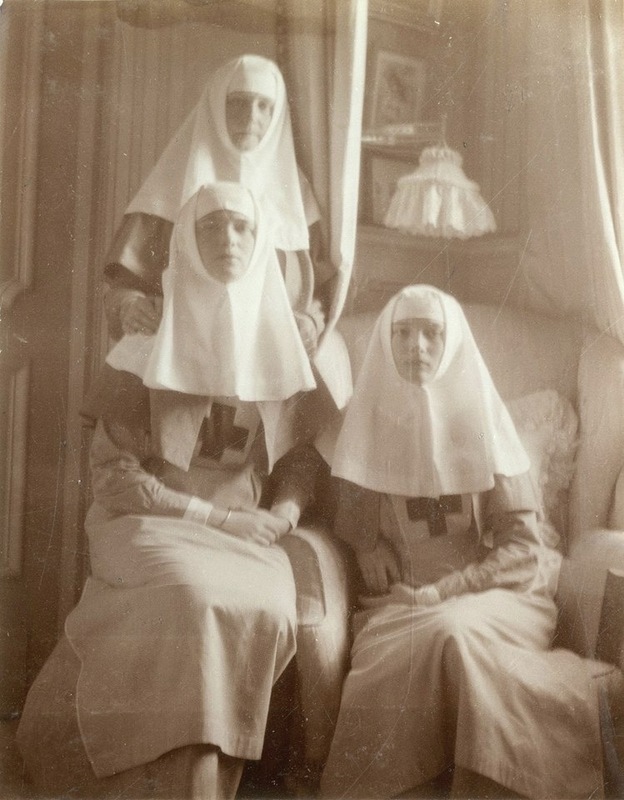 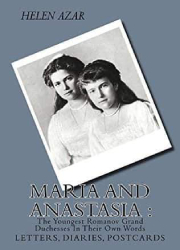 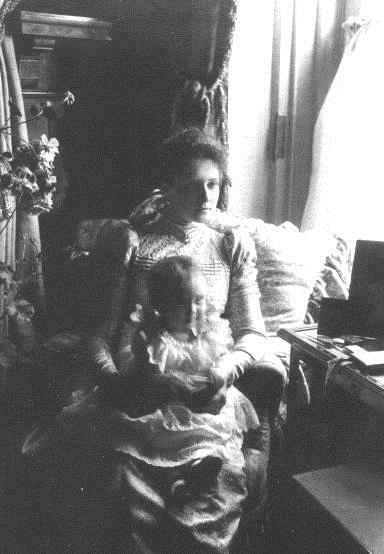 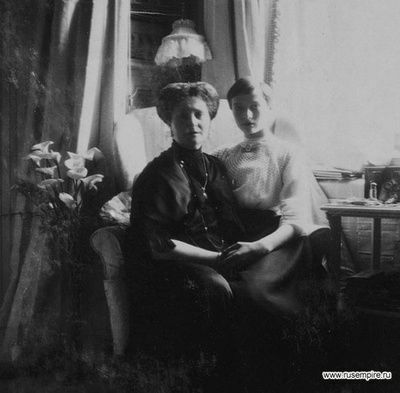 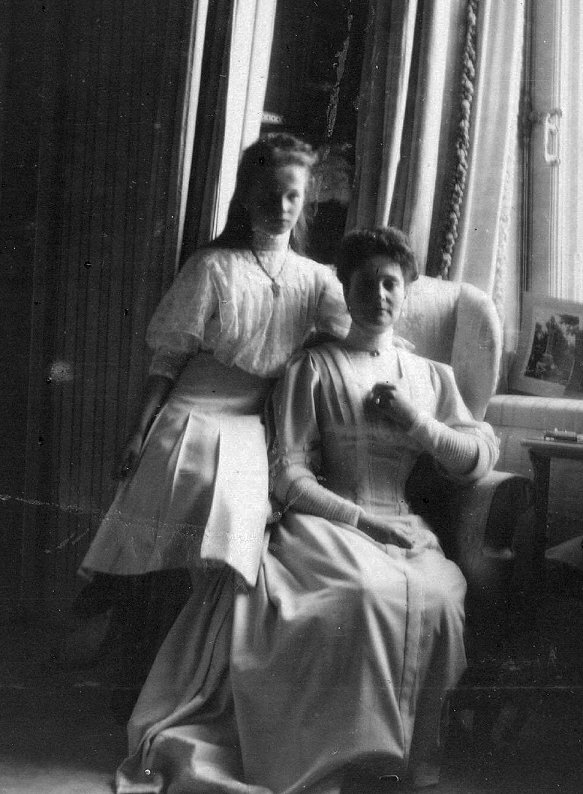 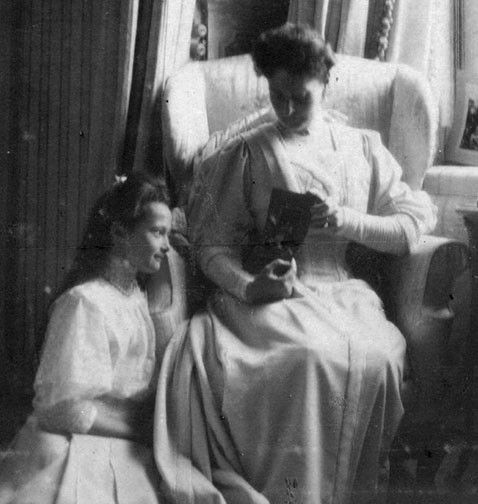 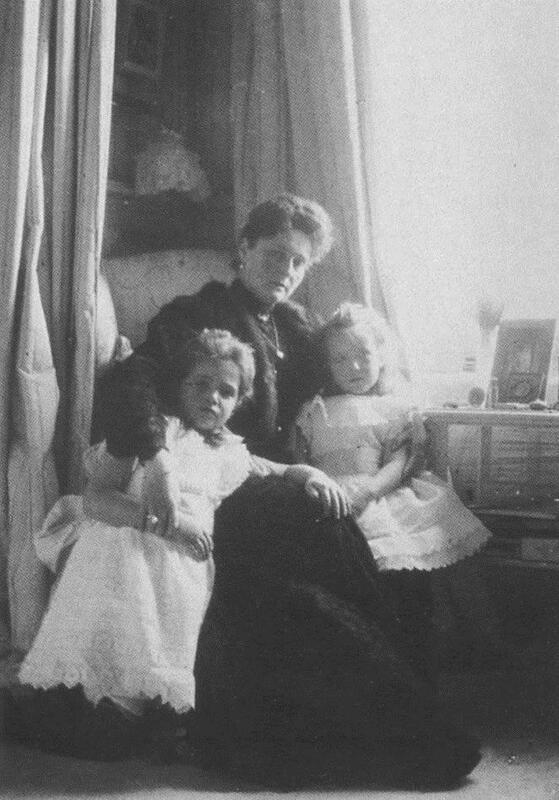 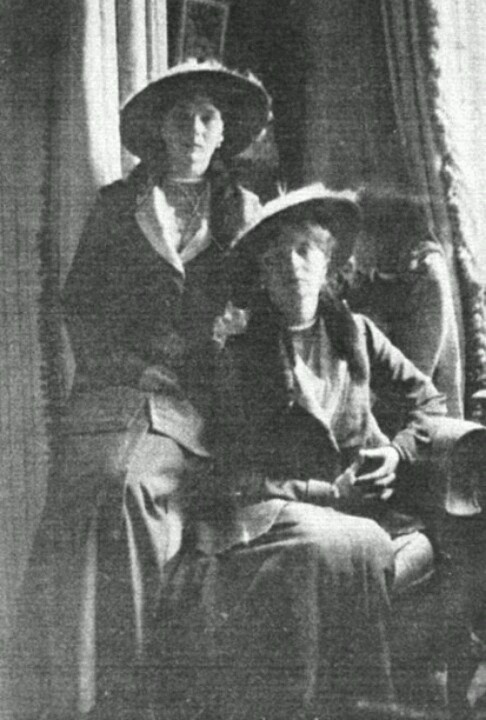 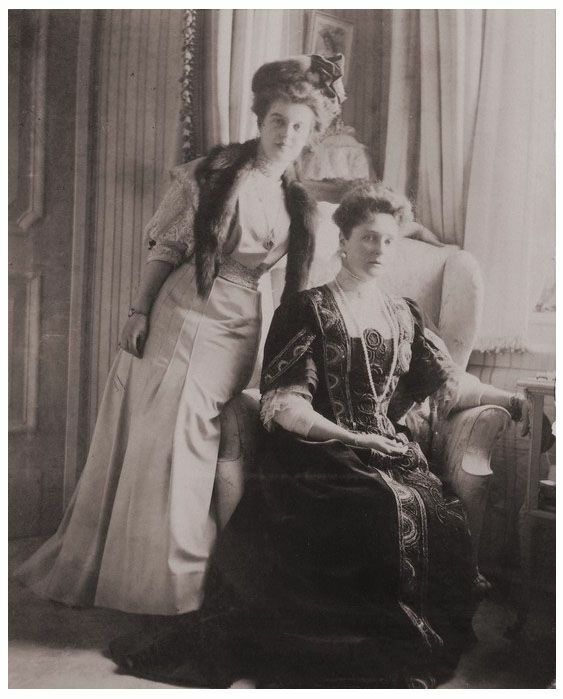 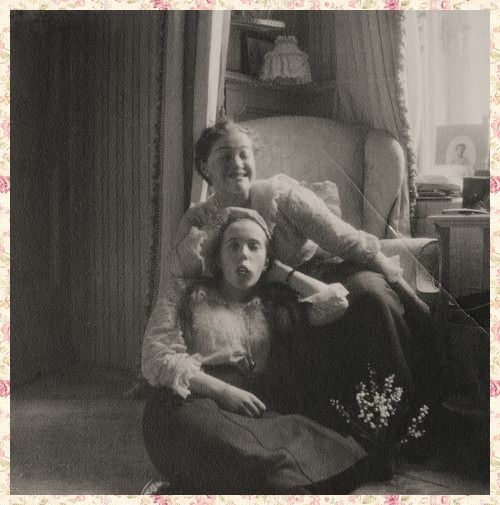 Grand Duchess Olga and Grand Duchess Anastasia Romanov. 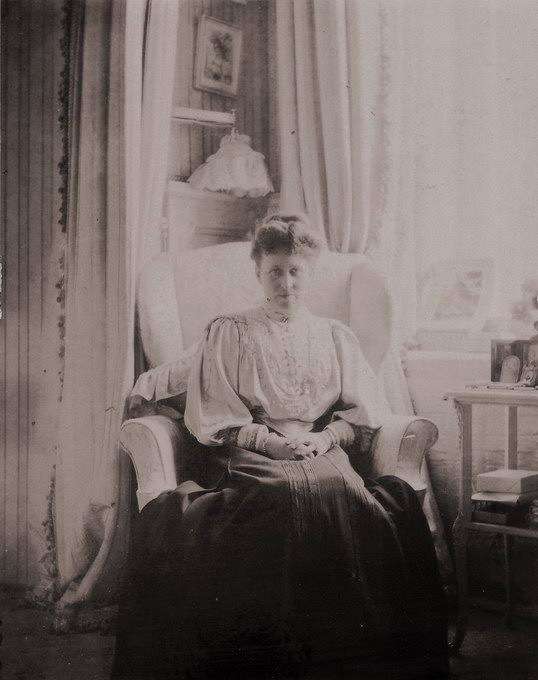 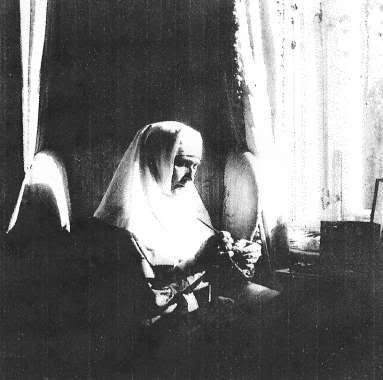 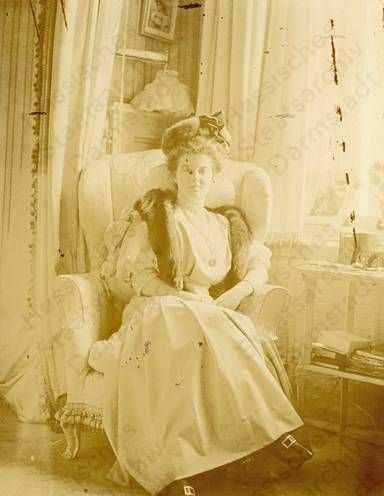 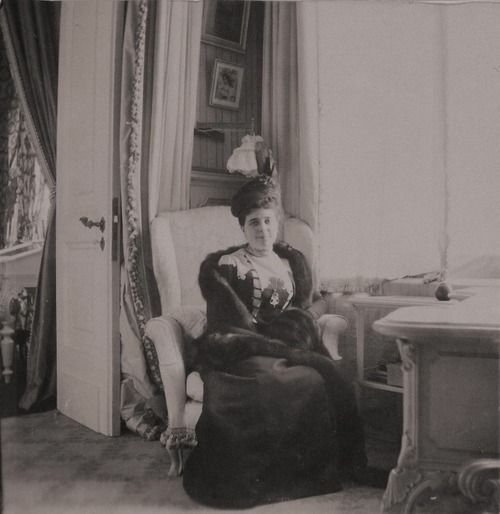 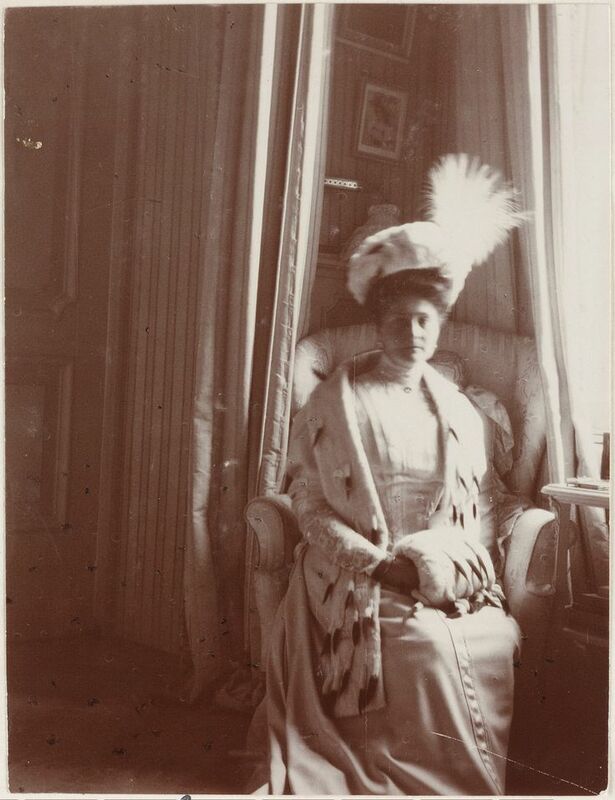 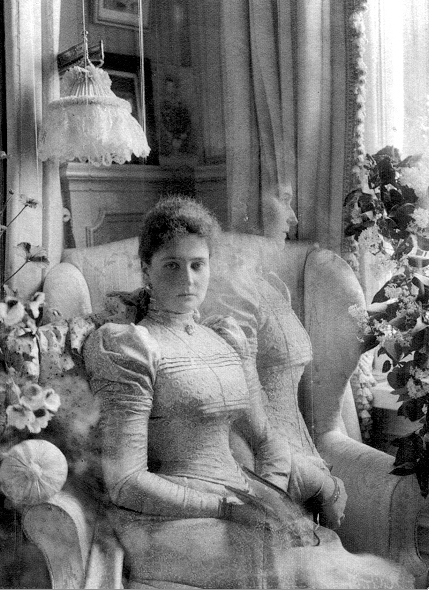 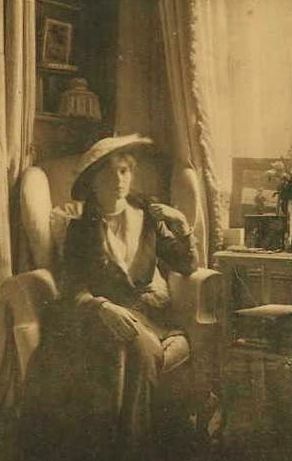 Many sources identify this photo as Grand Duchess Maria, but for some reason I am convinced that this is Grand Duchess Olga. 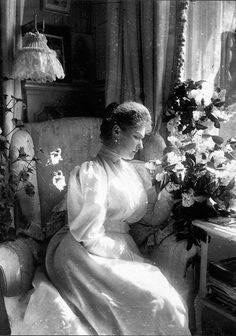 Oh Helen! 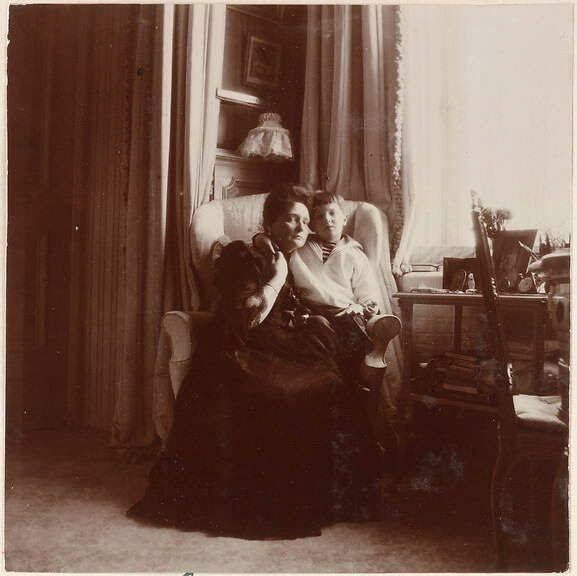 May I come with you in your Time Machine??!! 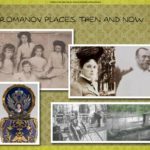 I have only just discovered your site, 15 mins ago (5.15pm Monday 13th Feb 2017 UK time) and it is absolutely Fascinating. 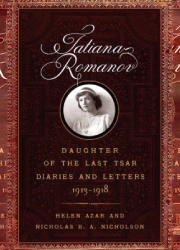 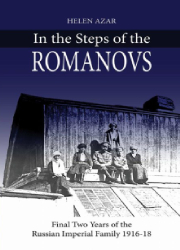 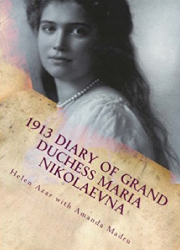 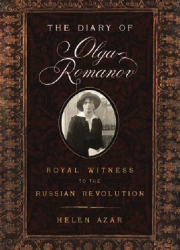 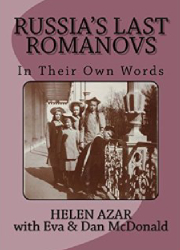 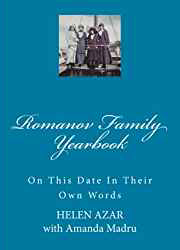 I have 2 bookcases of books about the Romanov family from Alexander 11. 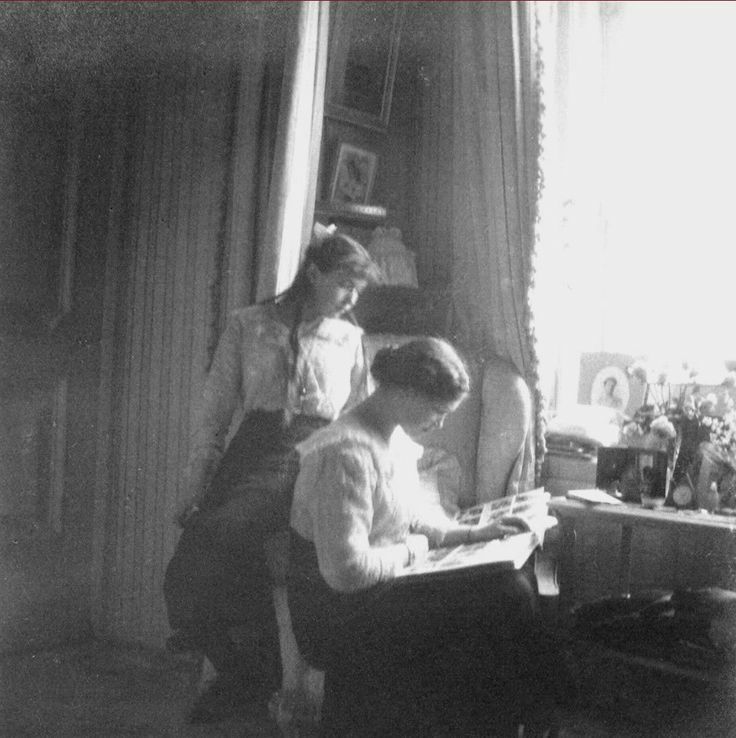 I visited Russia for 3 weeks in Sept. 2006, made my own itinerary to include all the Romanov places in and around Moscow and St Petersburg. 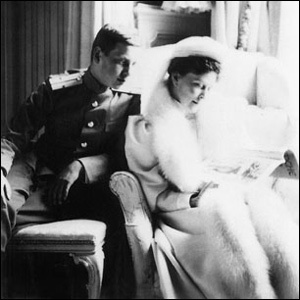 And did the River Cruise from Moscow to Petersburg. I was really living in those times. 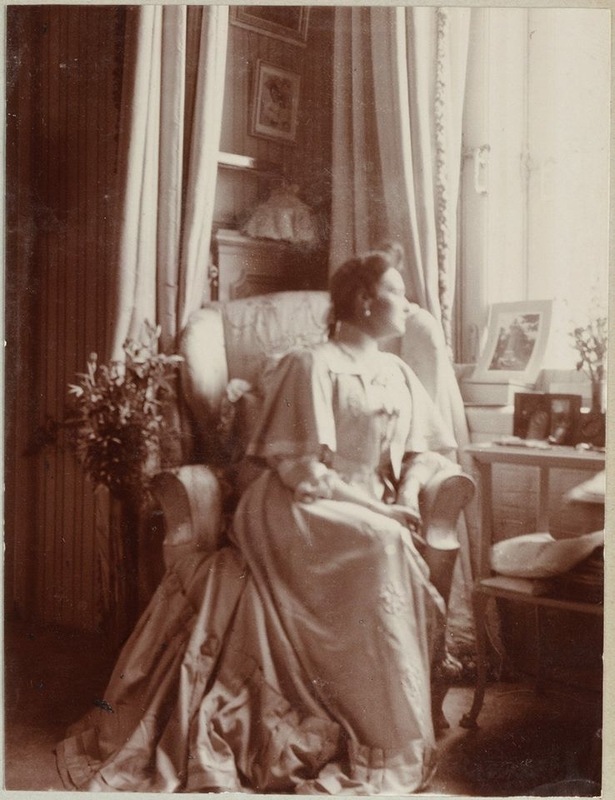 There was no one else visiting the Alexander Palace at TsarskoeSelo and I stood by THE chair and touched it, in the Mauve Boudoir, and the lady in charge of the room, took my photo. 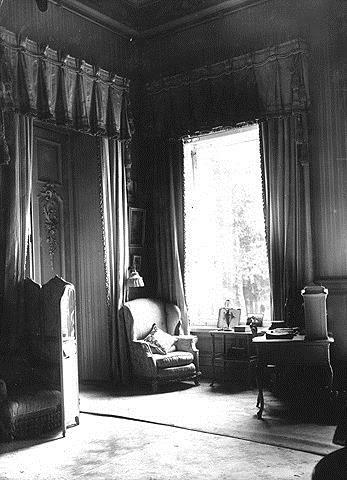 I have recently Saved (on Pinterest which I’ve just come across) some of these photos of THE chair. 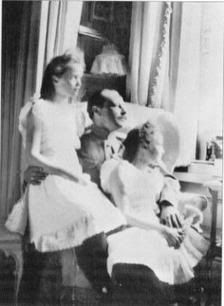 Lovely to see SO many here! 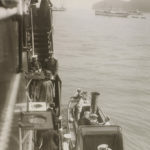 I’d love to go again, but too old now. 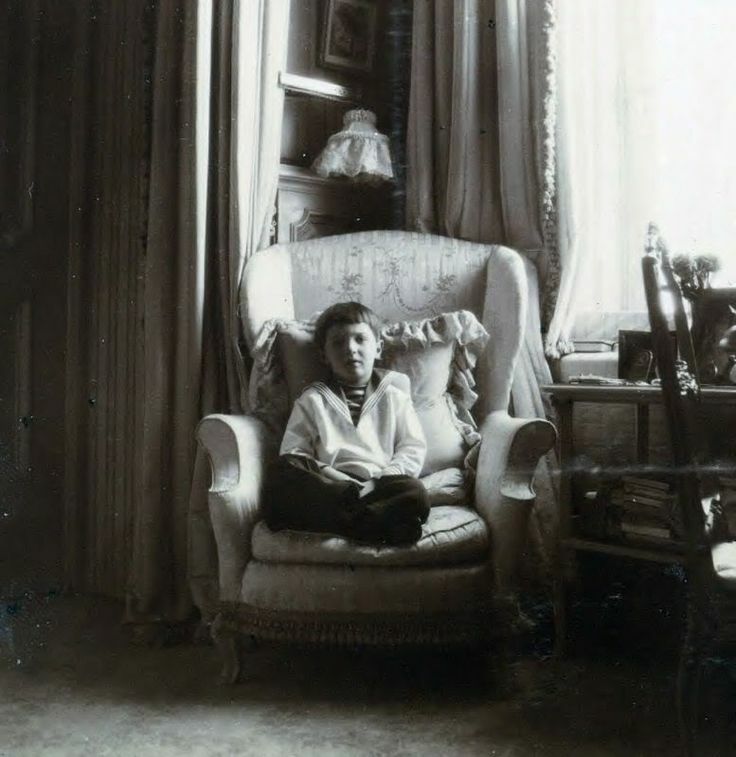 I’m 78 tomorrow! 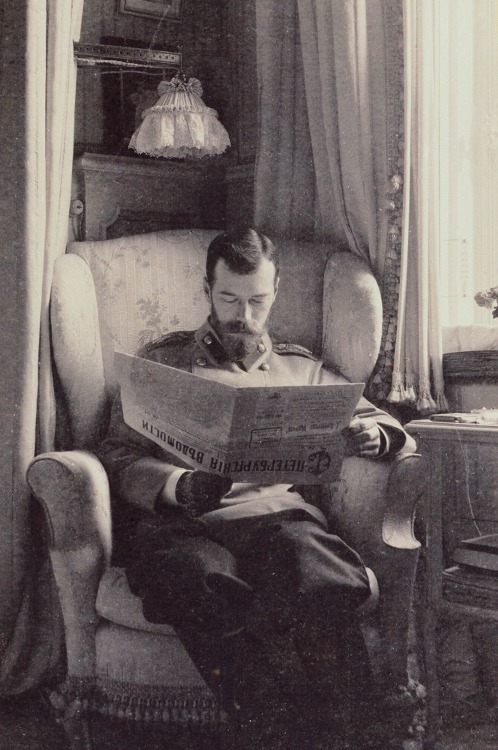 I’m on my iPad – how do I Save your website to visit and read more? 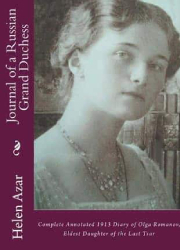 Can anyone help please? 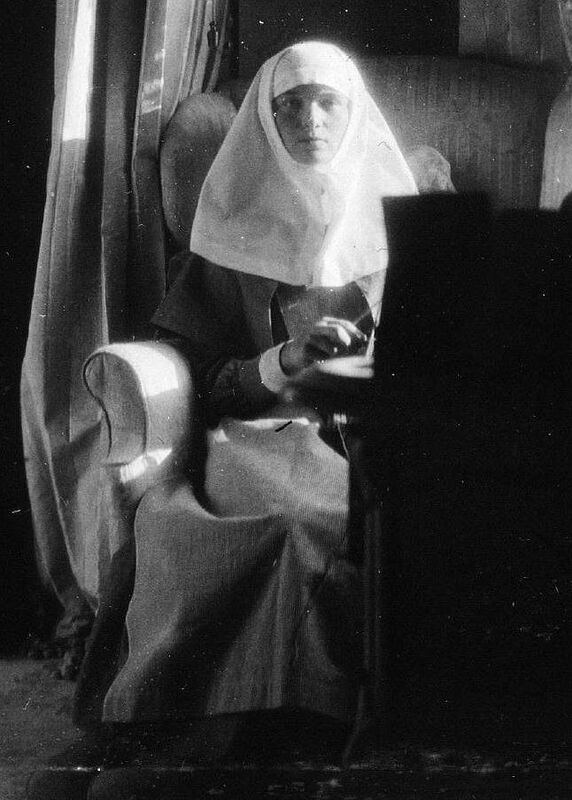 I don’t use the computer as I don’t understand it! 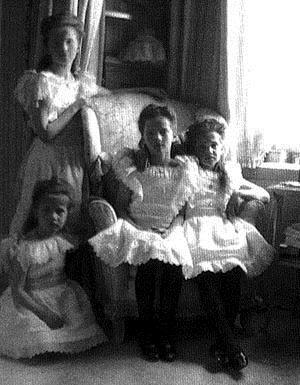 I have no URL. 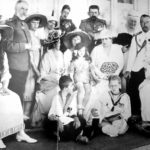 I’ve never had a blog and didn’t know how to.